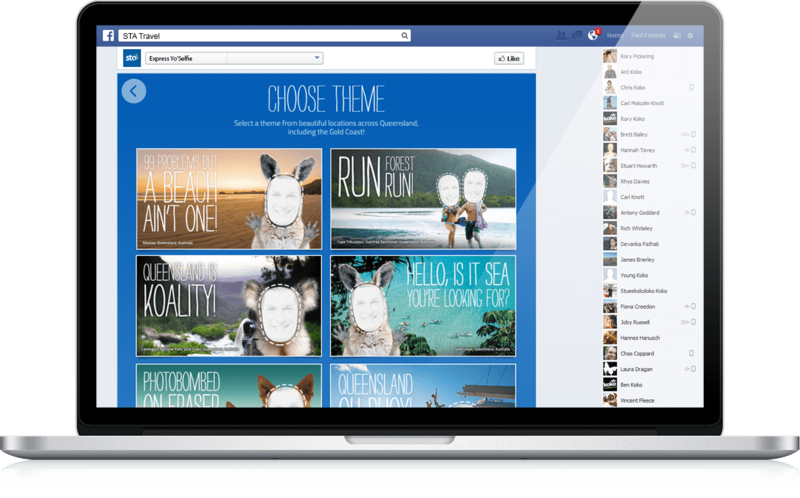 Responsive Developers, Facebook Agency, Branded Social App Campaigns Express Yo'Selfie | Responsive, Facebook, Social App for STA Travel | Koko Digital Express Yo'Selfie. 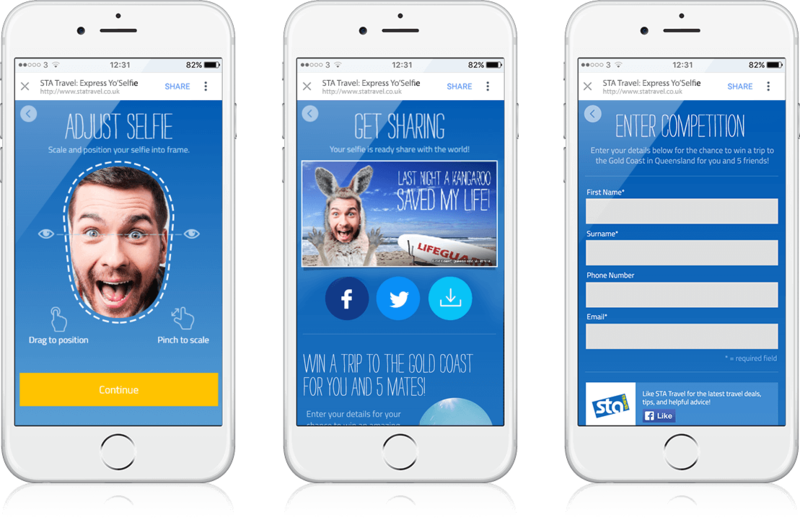 A fun social travel app developed for STA Travel. 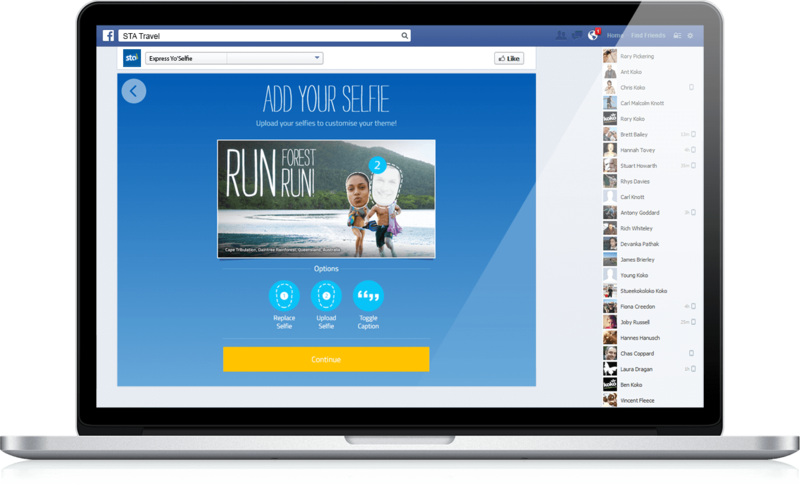 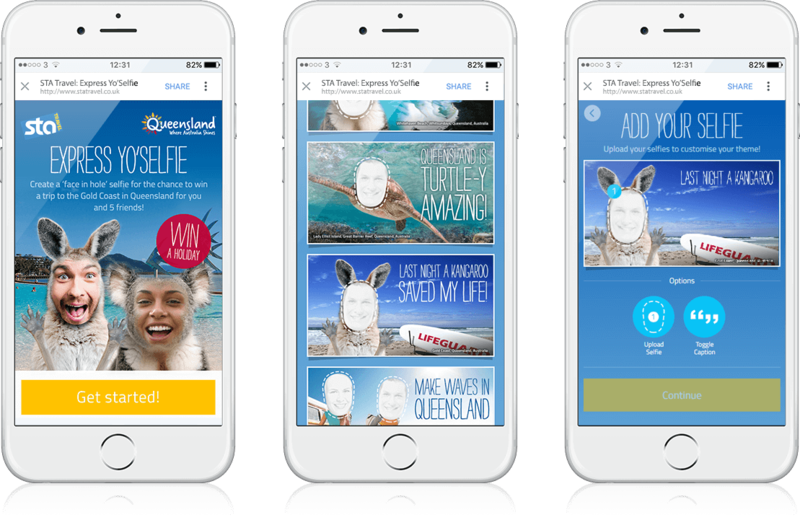 Express Yo'Selfie photo app that lets users take selfie's and attach them to various images taken from around Queensland and the Gold Coast.